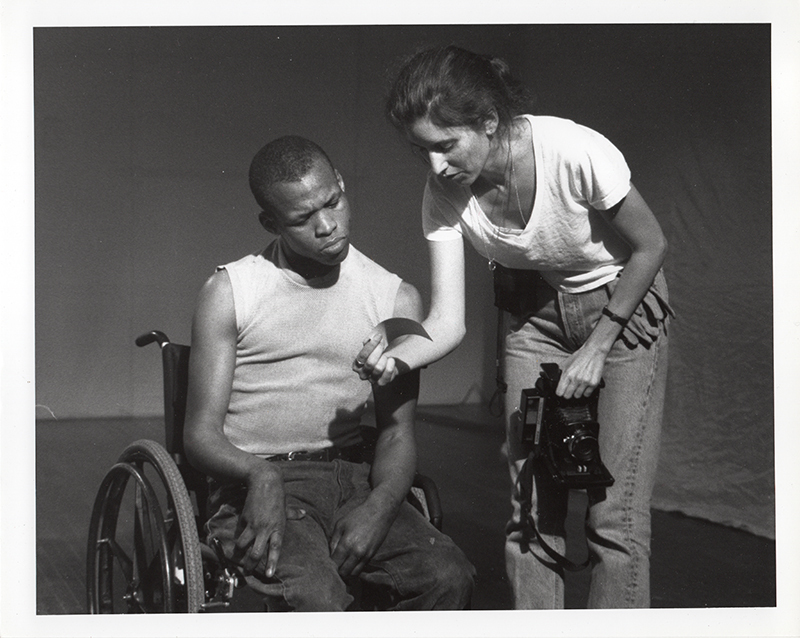 A duet for camera + dancer that challenges expectations of grace and disability. The film features dancer Bruce Jackson and the song “We Are….” by Dr. Ysaye Maria Barnwell. Performed by Sweet Honey in the Rock on Sacred Ground. Please also see Cusp, Belle. Bruce premiered at the Los Angeles Independent Film Festival and was broadcast on PBS. Selected screenings include National Museum of Women in the Arts,New Filmmakers (Anthology Film Archives), The Place (London), Passages (Milan), Exploratorium (San Francisco),IDAT 00 (International Dance and Technology),Dance on Camera Showcase, El Infinito (Mexico), American Dance Festival, Toronto Worldwide Shorts, General Roca Festival (Argentina), Do Boy’s Dozens, Sisyphus Emerging (Limelight Nightclub), Aurora Picture Show, Cinéwomen, Projections (Toronto), Brooklyn Disability Film Festival, CMJ Music Fest, Care Of (Italy).